With Haitian Senators under a microscope these days and their lavish lifestyles in question, They have set out to reduce some of the privileges they are getting. Following a conference of presidents, convened to the extraordinary on Tuesday, July 24, 2018, the Senate of the Republic, popular pressure obliges, decided to reconsider the decision taken by the same conference of presidents, the March 5, to grant an official residence to the Senate President Joseph Lambert. Senator president Joseph Lambert said "large cuts will be made in the privileges granted to senators to avoid associating the privileges of the Senators to the situation of distress, misery and other things we are experiencing today. " The Senate plans to eliminate phone recharge cards for senators and employees. Inland travel expenses (frais de déplacement à l'intérieur du pays) will be eliminated. 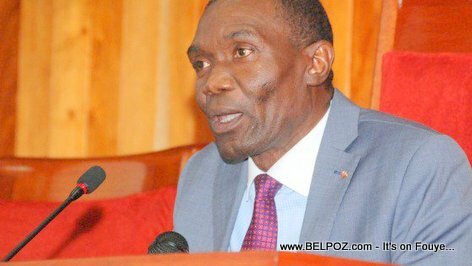 The 1 million gourdes per senator disbursed in each Easter season will be eliminated, what Haitians famously fall "Ti lajan poisson an." No more car rental for the Senate, ever, Joseph Lambert said. Senator Lambert also talks about eliminating the millions that are disbursed to Senators in the summer time season. President Lambert, announced that other arrangements will be made soon to try to re-brand the Haitian Senate perceived today as one of the main beasts of the budget of the Republic, Haitian newspaper Le Nouvelliste reported. Tout sa rans, nou pa bezwen senatè depite nan peyi a ankor.